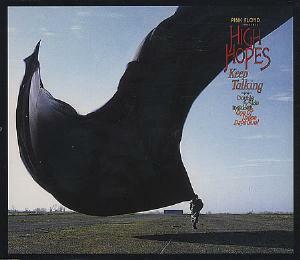 The High Hopes/Keep Talking single includes radio edits of both songs. In other words, they're shorter in length meaning something has been cut out. The other song on this CD single is a live version of One of These Days. Since this was just a single, it really only ought to be of interest to collectors and completionists simply because the full versions of these songs are available off of the Division Bell studio album and you can find a very nicely done version of the live song off of Pulse. Keep Talking is a really cool song, but again, the studio version is better. For collectors only, thus two stars.